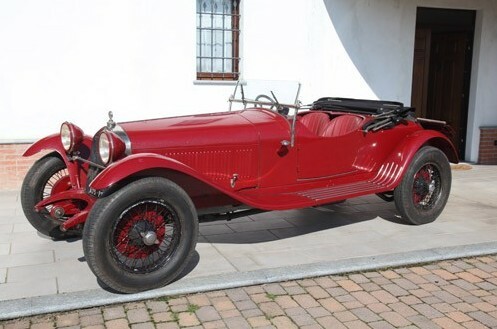 The Alfa Romeo 6C was new for 1925 and the 6C 2300 would be the fourth version of the model. It was introduced in 1934 at the Milan auto show and was the first version of the 6C with over two liters of engine capacity. The engine is a 2.3-liter straight-six and in this trim it makes 95 horsepower with a top speed of 90 mph. The 2300B Pescara was built between 1934 and 1937, with 185 models produced in total (this includes non-B Pescaras as well). This Pescara Berlinetta was bodied by Pinin Farina for the 1937 Milan show. It is thought that this body work is actually unique in its glorious Art Deco-ness. After the war, this car was used in hillclimbs before being butchered and converted into a pickup truck in 1954. Luckily, it was discovered in 1992 with a good portion of the original parts there – but the restoration, which began in 2002, required a reconstruction of the fastback section. Today it looks wonderful. It’s a fine example of 1930s pre-war style by one of the world’s most famous design houses. It will likely sell for between $950,000-$1,700,000. Click here for more info and here for more from this sale. 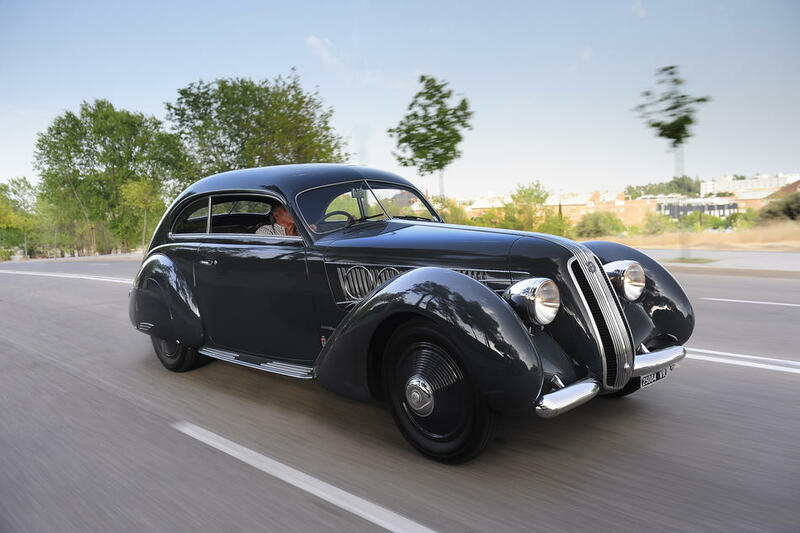 The Alfa Romeo 6C 1500 was the first of Alfa’s legendary 6C/8C models. It was a lightweight, low-slung sports car – especially when compared to the big touring car it replaced. And with bodies from the likes of Zagato, their sportiness would never be questioned. New for 1925, the 6C 1500 used a 1.5-liter straght-six and in blown Super Sport trim, this car wears a supercharger that pushes output to 76 horsepower. Top speed was 87 mph. It was more powerful than many of the 6C 1750 models that were introduced as this car’s replacement in 1929. The car was restored in 1980 and has been in current ownership for 30 years. It is obviously eligible for the historic running of the Mille Miglia. About 3,000 6C 1500s were built but only 12 of those were supercharged Super Sports like this one. I don’t even want to guess how many came through Scuderia Ferrari. This is a big time, big money car. Read more here and see more from Coys here. You know what I love about this car? Its simplicity. While it has attractive coachwork by Pinin Farina, it isn’t overly extravagant and ridiculous. It’s subtle and restrained. It also looks like a big car and like a car that, if you owned it, you would want to drive. The post-war 6C 2500 was a carryover of the model introduced by Alfa Romeo in 1938. Production restarted in 1946 after serious effort to get their ravaged factory back to operational status. As you can see, there was a restraint with post-war designs that came from a more subdued Europe that had spent too long in the throes of war. The engine was also carried over, the 2.5-liter straight six, which, in Sport trim, made 90 horsepower. This is one of three Pinin Farina-bodied aluminium (with steel doors) Cabriolets built as a 6C 2500 Sport. It has been in the same family since 1975 and used “sparingly” as it is all-original. It’s a very wonderful car and should sell for between $280,000-$340,000. Click here for more info and here for the rest of Bonhams’ auction lineup. The Alfa Romeo 6C line entered production in 1925 but the 2500 model you see here didn’t come along until the end of 1938. Production ramped up in the face of war, which would seize Europe and disrupt automotive production and design – setting both back by nearly a decade. But this car is tastefully appointed and used Alfa’s race-bred 2.5-liter straight-six. It wasn’t some last-minute car cobbled together in a warehouse. These were wonderful, well-engineered cars. Power output was 95 horsepower in the Sport model. The cars were bodied by many famed design houses and sold to royalty the world over. Alfa managed to build a few hundred of these before war broke out, with production continuing afterward and ending in 1952. This chassis originally sported a cabriolet body by Touring but when it was rediscovered in 1998 the body had already been replaced by this sporty roadster body by Diamante (a coachbuilder I know almost nothing about). It was acquired by the most recent owner in 2008 who had it restored further than what was carried out ten years prior. It has competed in a number of historic events and is eligible for even more. It should sell for between $490,000-$690,000. Click here for more info and here for more from this sale. RM Auctions’ 2012 London sale was held earlier this week. Our featured Ferrari 250 Tour de France was the top seller at $3.1 million. The Alloy Mercedes 300SL failed to sell, but was bid far beyond the Ferrari. As far as very early cars go, there was only one – this 1904 Cadillac Model F Four-Passenger Touring that sold for $90,000. We featured a pair of supercars: a Maserati MC12 (that didn’t meet its reserve) and a Koenigsegg CCX that did, selling for $397,000. Other interesting cars included this 1970 Astra RNR2 FVC race car powered by a Ford-Cosworth engine that sold for $72,000. How about these two little Italian cars, first a 1964 ASA 1000 GT (first below) sold for $58,702. The second car below is a 1963 OSCA 1600 GT. It sold for substantially more at $261,900. And speaking of little, I really liked this 1974 DAF 33 Variomatic. And it was affordable too, coming in at an auction low of $11,750. This sale had a couple of really awesome Alfa Romeo 6Cs. First, this 1930 6C 1750 GS Testa Fissa is gorgeous and sold for $1,265,000. 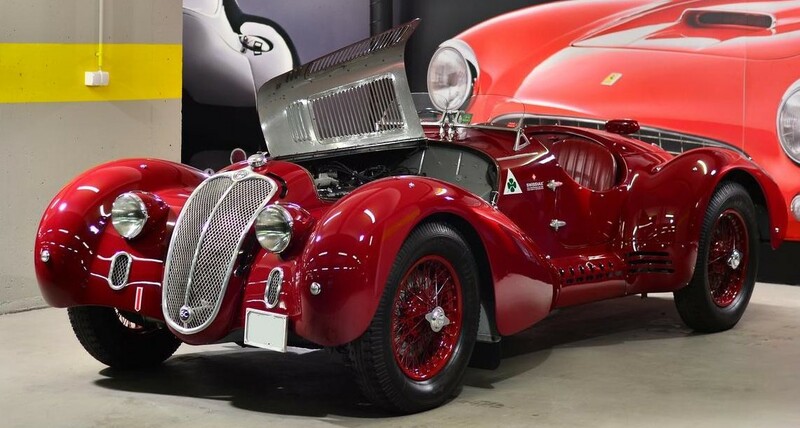 Then there is this 1934 Alfa Romeo 6C 2300 that sold for $451,500. And finally, this post-war Alfa 6C – a 1948 6C 2500 S Cabriolet by Pinin Farina. It sold for $298,000, which, for whatever reason, seems like a good deal. Another Italian car (kind of a trend here) is this 1956 Fiat Abarth 750 GT Double Bubble coupe by Zagato. It sold for $126,000. A car along similar lines (that is: “tiny”) was our featured Ogle SX1000 GT. It sold for $23,400. Two more cars to show you: first a 1937 Bentley 4.25-Litre Saloon by Mann Egerton sold for the “wow, that’s all it costs for a Bentley?” price of $36,000. And finally, this 1937 Bugatti Type 57C Stelvio Cabriolet by Gangloff sold for the “yeah, Bugattis ain’t cheap” price of $993,000. Our featured (and super awesome) Aston Martin DB6 Shooting Brake failed to sell. Complete results can be found here.